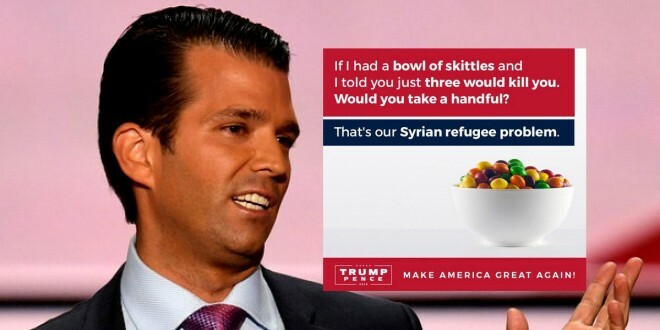 MAKE IRONY GREAT AGAIN: Trump Junior's Skittles Photo Was Taken By Anti-Trump Former Refugee - Joe.My.God. Mr Kittos is unsure whether he will take action over the use of his image by the Trump campaign. “I would like the Trump campaign to delete the image, but they are probably not interested in what I have to say,” he said. “I was thinking about getting lawyers involved but I don’t know if I have the patience.